It’s your health, quality of life, and money! Our #1 goal is to preserve your kidney function and delay the need for dialysis or kidney transplant. We focus on keeping patients healthy and out of the hospital. Medicare data shows your life is longer if you were dialyzed at the Kidney Associates of Kansas City and DCI dialysis clinic in comparison to the other local facilities. Our dialysis patient survival rates are 30-50% over the US average. Medicare data shows that patients receiving dialysis with our physicians have fewer and shorter hospital stays. Our physicians visit their patients almost each time they receive dialysis treatment, or 8-12 times monthly. Seeing you as often as possible (at no extra cost) can keep you healthier and out of the hospital. Medicare data shows the cost to treat our patients is less than other providers. If you have fewer hospital visits/shorter stays, you have fewer co-pays and co-insurance payments. Every physician on staff at Kidney Associates of Kansas City is Board Certified in Internal Medicine and Nephrology. 100% board certification means we meet the highest standards established by our profession. You get the best and most qualified physicians. Every physician receives continued medical education – not once a year, not once a month, but EVERY week. NO other physician group can make this claim in Kansas City. Every on-call physician receives a complete report on their hospitalized patients before the weekend begins. The more we know about you, the better we can manage your care. 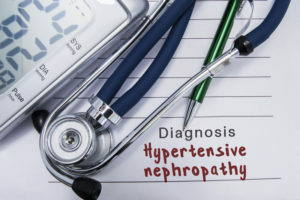 Medical issues that affect the kidneys include Diabetic Nephropathy, Polycystic Kidney Disease, Hypertension, Chronic Kidney Disease and End-Stage Renal Disease. We understand the confusion, stress and uncertainty of these diagnoses and work with patients and their families to get answers, solutions and the most effective treatment possible. Our dedicated team of physicians, nurse practitioners and nurses are trained specifically to care for patients bearing these conditions. 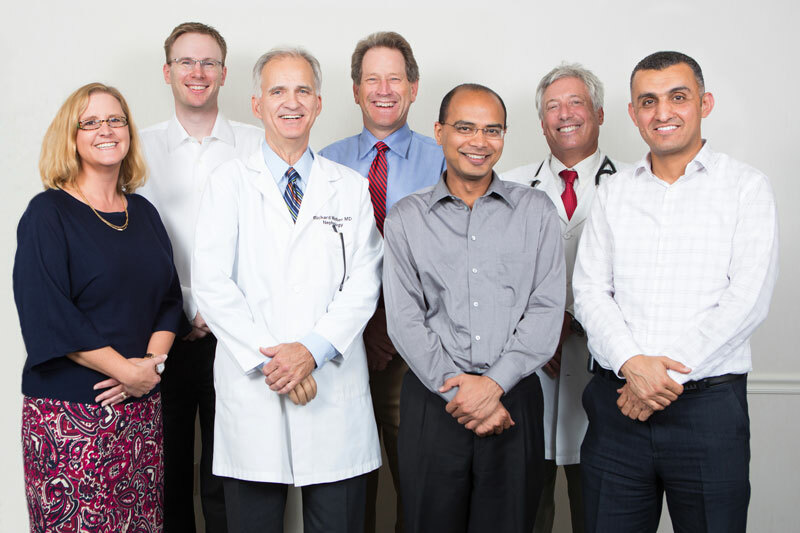 Our professionals include 8 physicians, all board-certified in Nephrology and Internal Medicine. Our nurse practitioners and nurses have extensive experience in Nephrology. In 2009, we received the National Exemplary Practice Award from the Renal Physicians Association, an award one practice in the US receives for demonstrating outstanding care for patients. Patient need is our FIRST priority. We work closely with primary care physicians to ensure a correct diagnosis and best possible outcome. This might include treatment options from medications and diet to kidney and pancreas transplantation or dialysis. We strive to keep patients living with their own kidneys as long as possible, for best quality of life. However, when transplant or dialysis is needed, we help patients achieve the best possible experience. We are committed to continuing education and professional development in all areas of nephrology. We conduct a weekly 6:30 AM meeting to review and discuss the latest research, publications and advancements in kidney disease, high blood pressure and kidney transplantation. This provides our physicians with the information needed to provide the most innovative treatment to patients. That is why we are the leaders in kidney disease in Kansas City. We place a great amount of importance on our doctor’s interaction with patients. Our physicians, not a nurse or technician, see patients on a regular basis. Our patients can expect to have 80% of their care and individual contact provided by their doctor. We frequently confer to ensure all recovery and treatment issues are identified and addressed. Because of our high standards, we have the lowest hospitalization and mortality rate amongst all Kansas City area nephrologists. And we detect, diagnose and treat any post-surgery issues quickly and effectively. Our role is ongoing during recovery. Your primary care physician is provided with a treatment summary after each visit. We coordinate tests and lab work to avoid duplication. 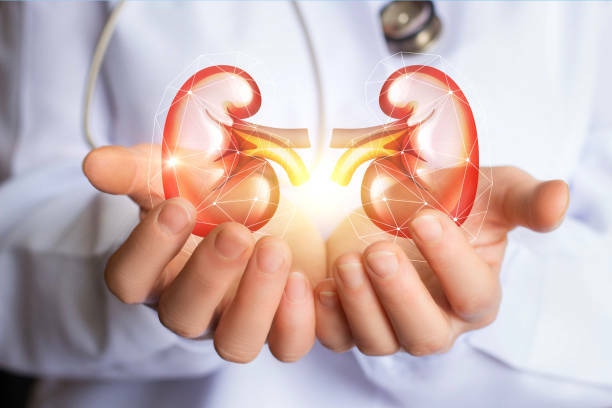 We take pride in providing longitudinal care to be effective at both in and out-patient management through dialysis or post procedure after kidney transplantation. Technology is an important tool in our patient care. We adopted computerized medical records in 2008, long before required by health care regulations. Access to health care providers as well as labs and visit summaries are available via our Patient Portal. It’s your health, quality of life, and money. Choose Kidney Associates of Kansas City!